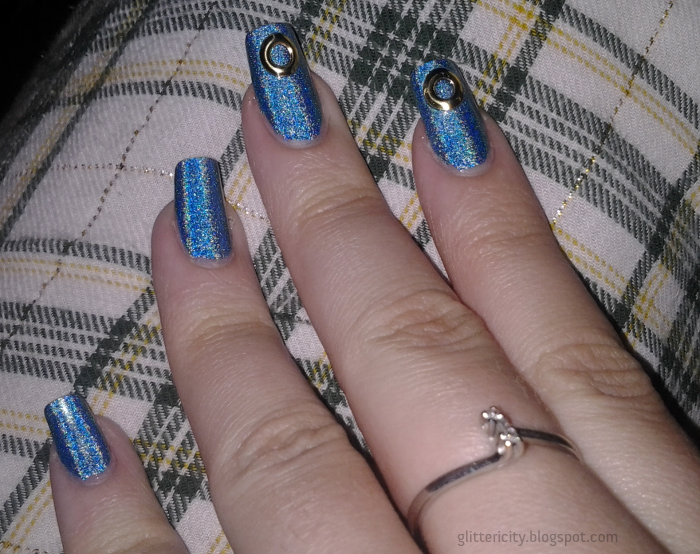 Glittericity: Alphabet Challenge: O is for... Over the Moon, Holos, and Rings, Oh My! Alphabet Challenge: O is for... Over the Moon, Holos, and Rings, Oh My! HELLOOOOOOO ladies and gentlemen! Time for some O inspired nails. I only have a few O polishes, and none of them really went with each other... so I decided to use my favourite of the bunch, and then go a bit literal with the letter prompt. Observe! That wonderful sky-blue holo is Color Club Over the Moon. (It's made an appearance here before!) 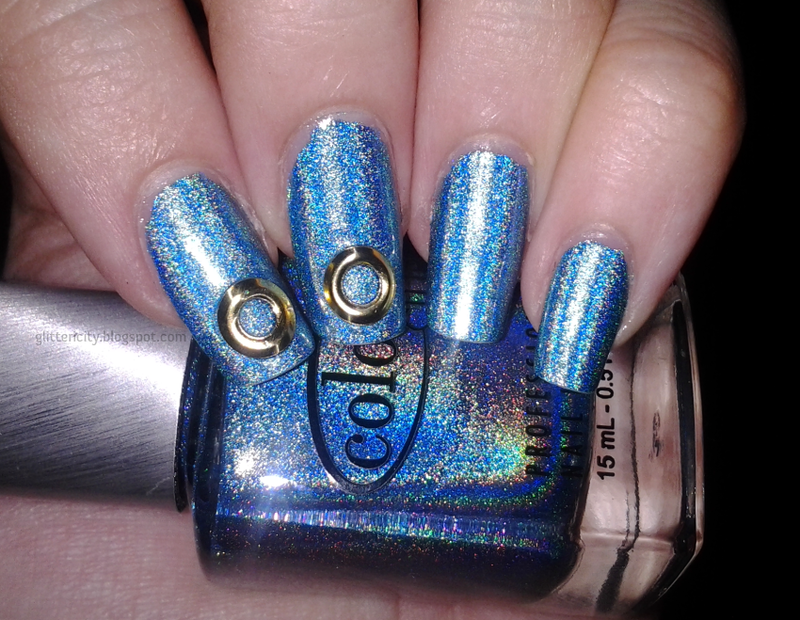 I will tell you, folks, Color Club does holos better than anyone ever. These Halo Hues have an amazingly smooth formula, cover in one coat, and unlike any other holographic polish I own, even has rainbows all over the place when it's wet on the brush and as you paint it! Just magnificent. Here it is alone..
And again, because it's just SO BEAUTIFUL! I decided to go for a literal "O" and use some of the ring-shaped studs from this wheel, available at Born Pretty Store. And hey, looks like it's on sale now! BPS has free shipping worldwide, and great products. I added gold rings to just my middle and index fingers, as you can see. They didn't lift or come off until I was ready to take them off. Fabulous! Sealed in with two coats of INM Out The Door topcoat. Yes, even I am amused at how many topcoats I own.